As seen from my social media postings, I have been putting on make up super often, especially during the Chinese New Year and Valentine's period. I don't really put on make up when it's unnecessary. I need to school almost every weekday, so I only put on sunblock just to prevent any sun damage and formation of dark spots. In the previous, I used to put on BB cream everyday, but it was way too tiring for me and I found that it hurt my skin a lot, even the appearance of blemishes, acne and white heads has become more severe. It's okay to put on a lots of makeup on the face, cover up the flaws and enhancing our beauty, yet it's really important to take good care of our own skin as it works as the best canvas and and everyone of us want to look beautiful as well without makeup. Choosing the products that best suit your skin is essential. In order to select those products, you have to really try first before purchasing them for daily use. You may get some sample kits or even purchase some trial kits before purchasing the deluxe size products. I have never tried any skincare products from Kose, but only the mask. I felt so happy to be given such opportunity from The Butterfly Project to even just getting a trial kit set. I love to try and explore different products, not only makeup but skincare as well. 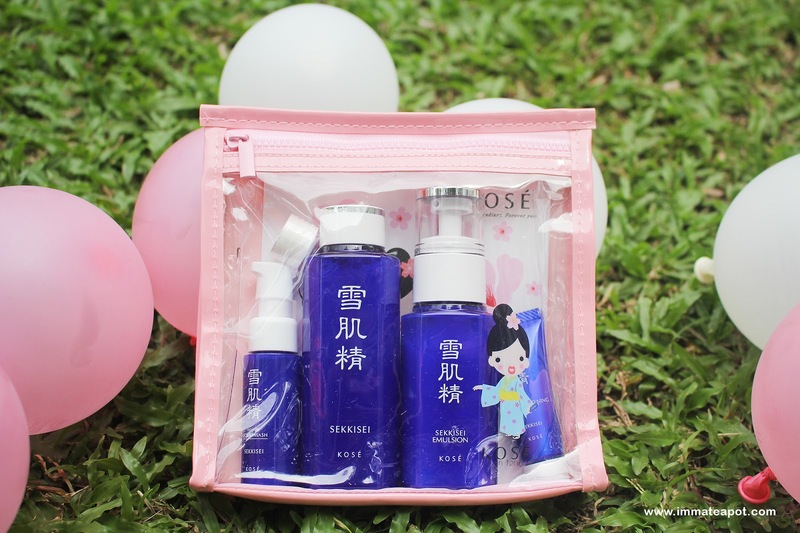 Yet, Kose trial kit was more than that, it was a surprise box that delighted my day! You may click on the video above, to check out my unboxing experience. So, here's the special edition trial kit, which came in a transparent cute pink pouch, with a lovely geisha 'Setsuka' illustration on the cover. I don't mind to reuse it when ever I travel hehe. Just great to keep my makeup or skincare products. This special trial edition came with a trio of oriental plant extracts, Coix Seed, Melothria and Angelica. 3 of these ingredients works amazingly in hydrating and brightening the skin, leaving the skin with radiant and even complexion. 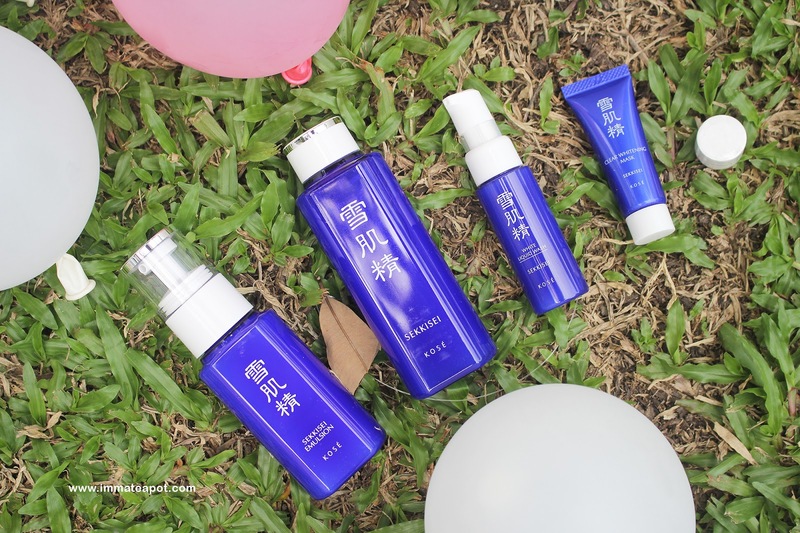 In this post, we are going step by step in applying these products. 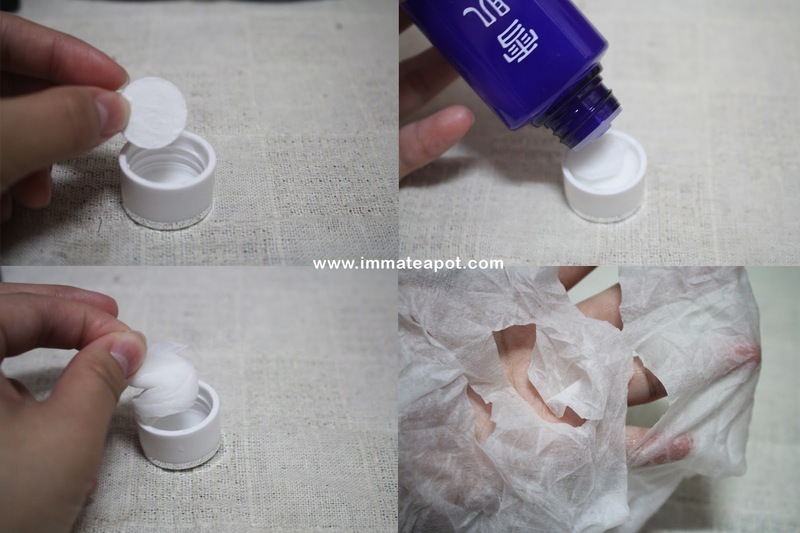 Dispense one to two pump on palm and lather until foams are formed with the addition of water. Spread evenly on the face and massage. The liquid wash is much dilute in sort of emulsion texture, comes with a refreshing sweet floral scent. 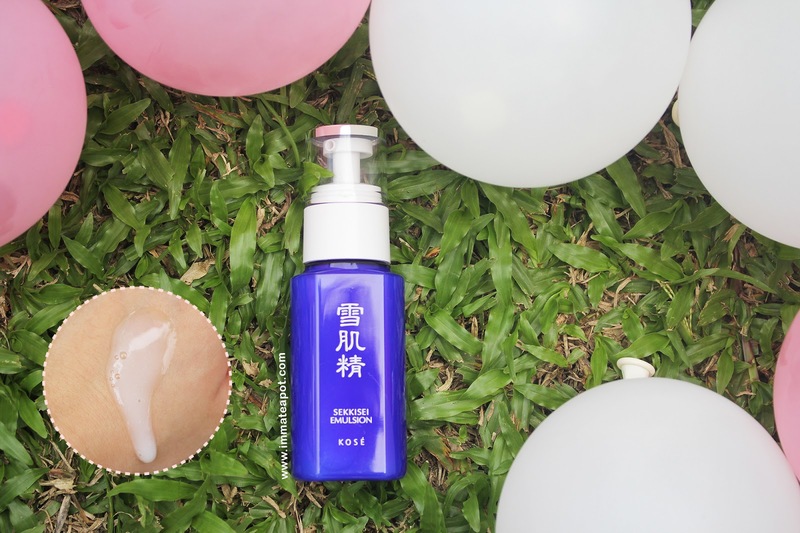 Unlike the usual foam cleanser, it doesn't made my skin appear to be slippery nor dry, but leaving my skin with a supple and hydrated feeling. Pour the lotion on cotton and pad on the face gently. The lotion comes in a liquid foam with a strong refreshing scent, which reminds me of the alcohol content within? It gives my skin cool sensation and it really works well in hydrating my skin. I love how it makes my skin feel soft and glowy. Beside the usage of being a lotion, it can be a mask too! Dispense adequate amount of lotion on palm and spread over the skin. Massage until it is fully absorbed. This emulsion comes in a dilute gel texture, with the similar scent of the liquid wash. It can penetrate into the skin swiftly, yet it leaves my skin with a little stickiness which is bearable. Sometimes, I use the lotion as a base before the application of primer and foundation. After the basic skincare regime, here's some special care or treatment for our skin, to enhance the skin hydration and complexion. 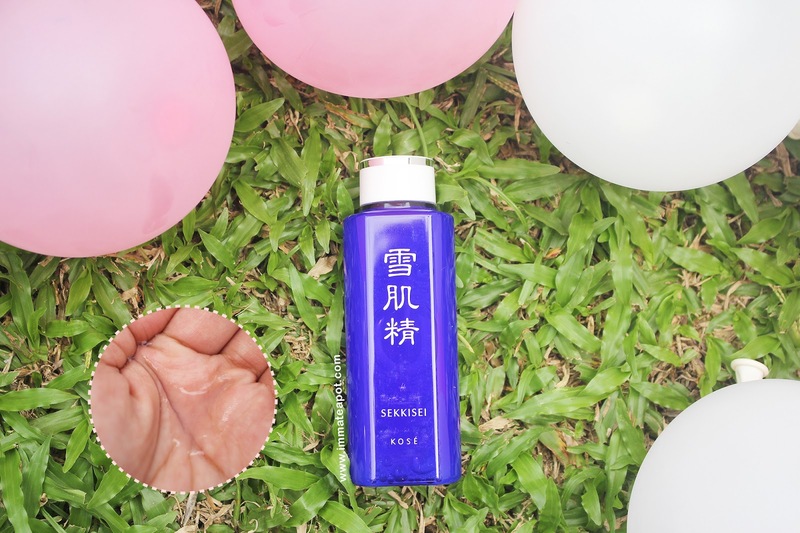 The application is very simple that you just have to place one 'pill' of the mask (which reminds me of the Redoxon Vitamin C pill) on the cover cap of the Sekkisei Lotion and pour the lotion on the mask till it puffs up. Then, place it onto clean face for 5 to 10 minutes. 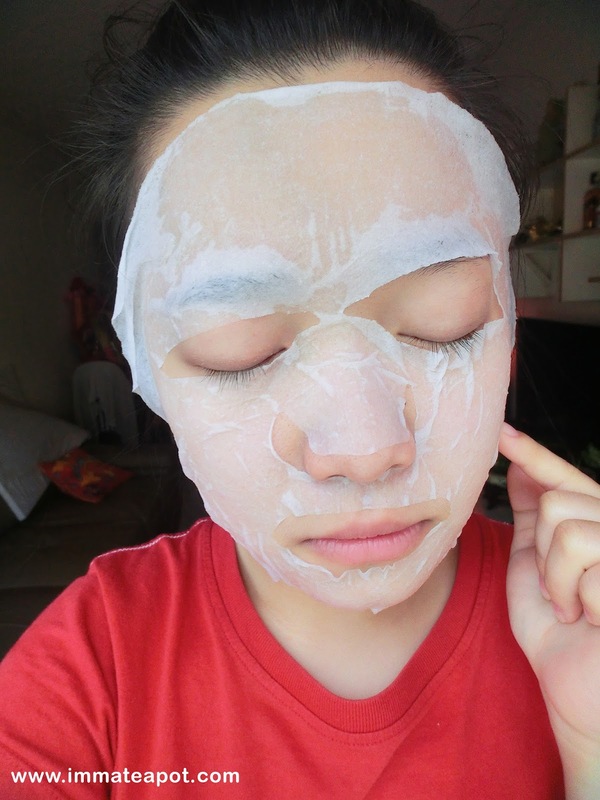 I must swear that I am fascinated with the mask, not only on the application but the instant hydration it gives to my skin. I used to apply this when ever I feel my skin is tensed and exhausted, especially after a long hour of make up or sun exposing, or even I slept late the day before. It really helps to boost the skin with moisture and getting a better complexion. In terms of the shape and size of the mask, I found it quite huge for my face and I don't really like the design on the nose area where it doesn't fit and cover my nose perfectly. Spread it over the face and peel it off once it dries off! 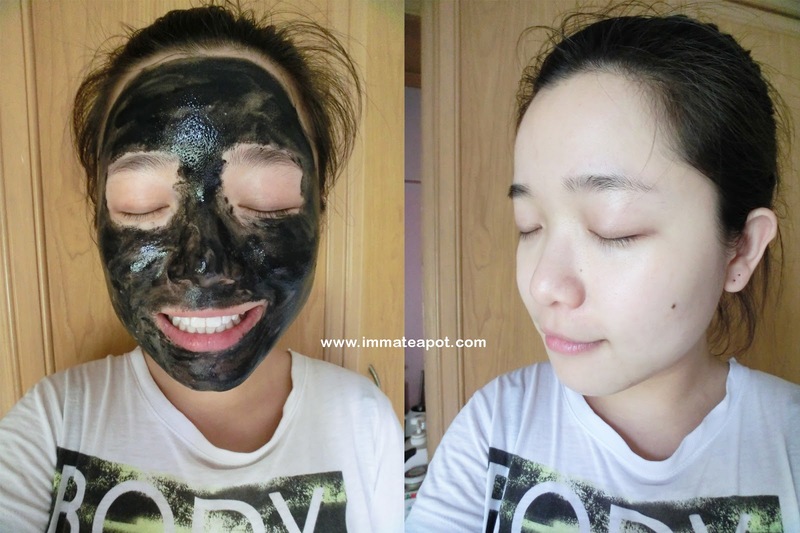 This mask consists of nano sized black powder that can be used weekly where it helps removing black heads, dead skin cells and tighten visible pores on skin, while whitening the skin! It dries off really fast like about 5 minutes and surprisingly whiten my skin so much while leaving it with a soft finish. 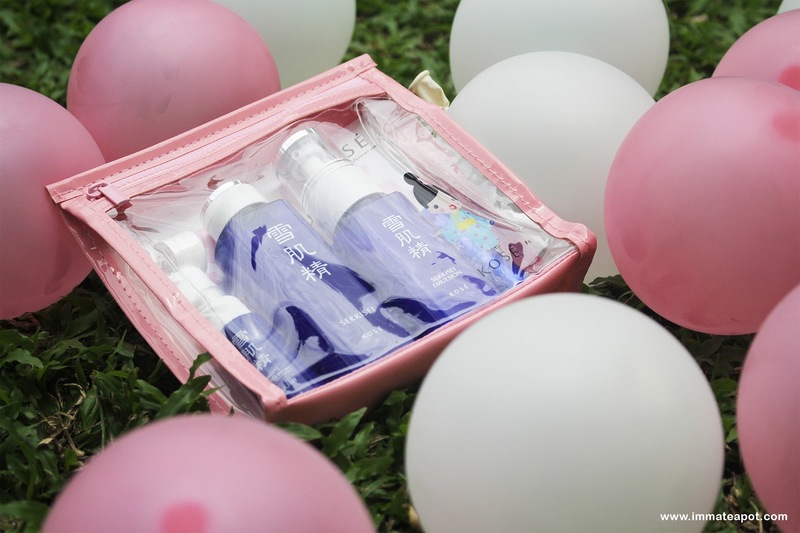 Overall, I found this Trial Kit quite effective as in hydration and brightening. You guys should really try out if these products suits your skin as this trial kit is only selling at RM99! A great deal and chance! I am completely enthralled by the Clear Whitening Mask. I'm willing to try just about anything to get rid of my blackheads. I will have to see if I can find a kit like this and give the products a go. Thanks for doing this in-depth review. I definitely need to get myself a set, too! My Favorite brand, thanks for the sharing. really like the way they packed the surprise! Nice review! Thank you for sharing. Looks like a useful product. Noted this down for a possible gift idea. I love this trial kit! Have been using it for the past week too. I love it when I start try on Kose product and my skin look more brighten. love your photos.i have heard rave reviews about their products, will try their products! I love the mask. So instant result for me. Received a big box full of love really brighten up our day..kan? ur video is so cute! KOSE, heard about this brand, and that its reliable. lots of bloggers using this too. Thanks for all of the pictures and including your video review on the products! 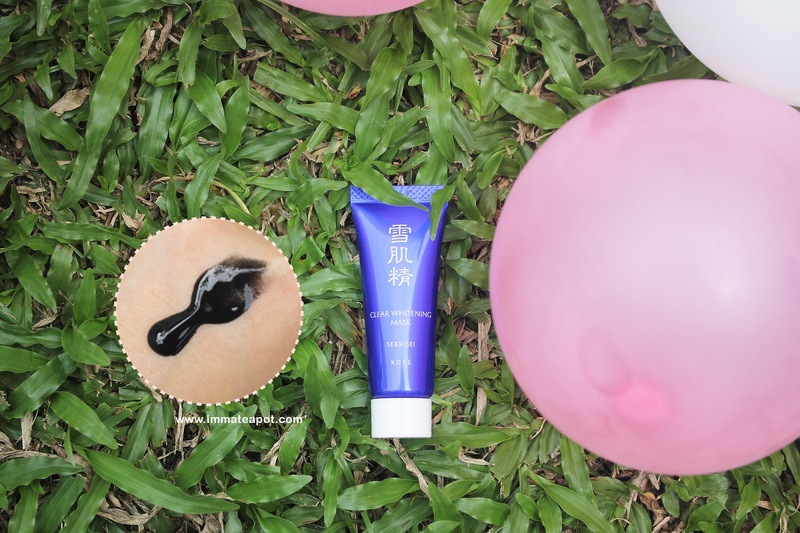 I have been wanting to try the emulsion since I tried the lotion mask from b-glowing. I think I may just purchase the whole kose sekkisei kit now!